Interval International has announced the affiliation of Hokkaido Tracks Vacation Club, comprising apartments and free-standing houses within five four-seasons resorts — all located in the village of Hirafu at the southern end of the Japanese island of Hokkaido. This area, called Niseko, is renowned as one of the world’s fastest growing ski resorts for its abundance of exceptionally light and dry powdery snow. 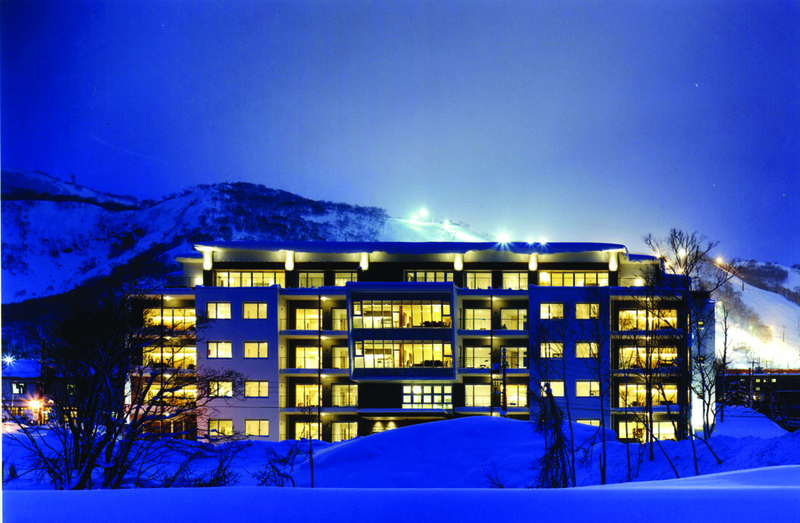 "The founders of Hokkaido Tracks Company introduced the first western style, luxury accommodation in Niseko in 2003. Their latest project, Hokkaido Tracks Vacation Club, will help establish the area with its traditional hot springs, called onsen, as a four-season vacation destination," said Joe Hickman, executive director of Asia-Pacific for Interval International. "Winter sports enthusiasts appreciate the abundant snowfalls and visitors in summer months enjoy golf, cycling, rafting, hiking, and fishing." Close to shops and restaurants in the pedestrian-friendly village of Hirafu, the vacation club units range from studios to a three-bedroom house. Each is contemporary in design and finished with Japanese influence, the majority with views of either Mt. Annapuri or the picturesque Mt. Youtei-zan with surrounding forest. With the exception of studios, all units have full kitchens and mini-bars stocked with drinks and snacks. En-suite amenities include washer and dryer, flat-panel satellite TV/DVD in the living room and bedrooms, Wi-Fi, and iPod docking stations. All units have secure storage for ski equipment in the building. Concierge services including tours, car rentals, ski passes and equipment rentals, and restaurant bookings can be arranged through the central front desk and guest services team. An exclusive ski valet service is also offered at the base of the new Grand Hirafu gondola, complimentary to all guests of Hokkaido Tracks. Owners and guests can also request grocery delivery and pre-stocking, in addition to in-room catering. The village of Hirafu offers a wide range of cuisines and cultural experiences. During the winter season, which runs from early December to late April, skiers and snowboarders enjoy an annual snowfall of up to 50 feet (15 metres) on more than 29 miles (47 kilometres) of groomed slopes. Snowmobiling and snowshoeing are other popular winter activities. Visitors can also go to the Candle Festival, when thousands of candles light the walkway along the canal in the nearby town of Otaru.